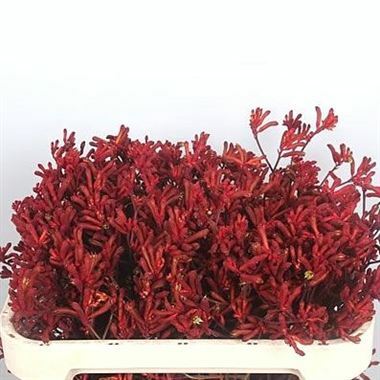 Anigozanthos Red Velvet(also known as Kangeroo Paw) is a flower native to Australia. Something a little different to use when in season too! 70cm tall & wholesaled in 50 stem wraps. Anigozanthos, (otherwise known as Kangeroo Paw & Cats Paw), is a genus of Australian plants of the Bloodwort family Haemodoraceae.